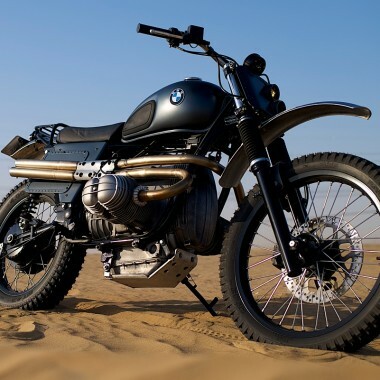 The BMW R80ST was a more street-oriented version of the popular R80GS adventurer, offering a smaller 19-inch front wheel and lowered suspension along with the hard-to-kill 50-hp boxer engine and shaft drive. The bike came with BMW’s monolever swing arm, or “Einarmschwinge” — mating beautifully with the spoked rear wheel. 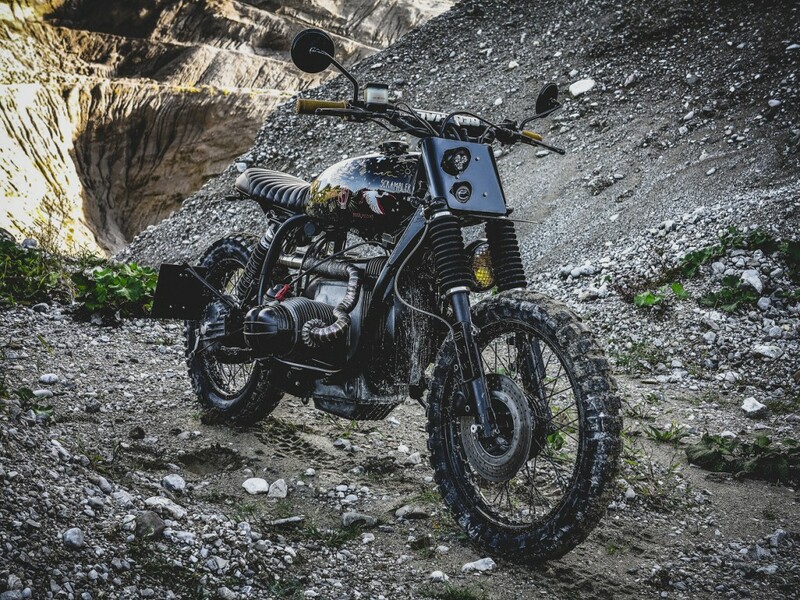 Enter Reier Motors of Salzburg, Austria — a small garage focused on “creating unique bikes” from a wide range of marques, including the Japanese brands, BMW, and Ducati. 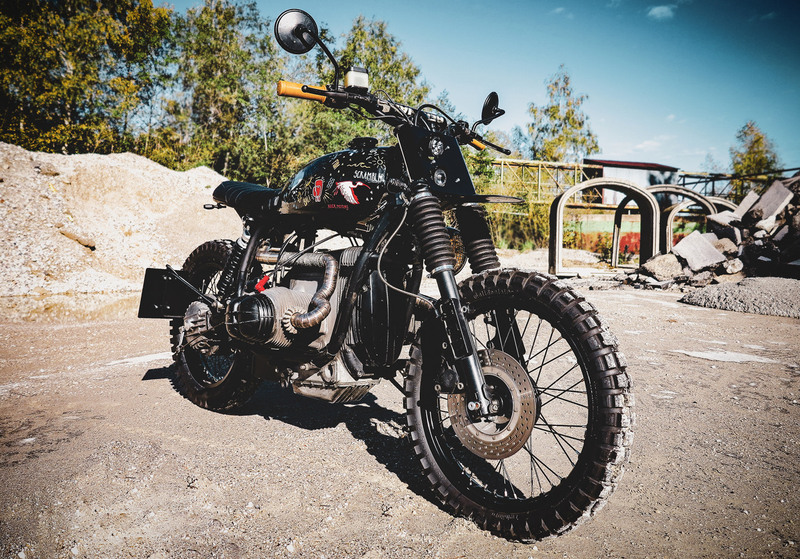 Previously, we featured the “Yellow Lady” Yamaha XS400 custom, which competed in the Punk’s Peak Race at Wheels & Waves and won Best in Show at Club of Newchurch. 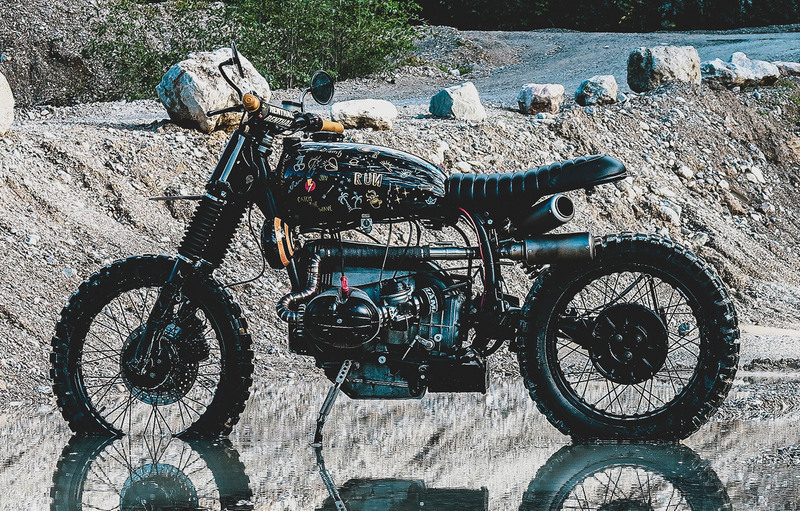 Now the crew is back with this BMW R80 monolever scrambler/tracker, built for a camping neighbor and friend they met at their first Wheels & Waves festival. 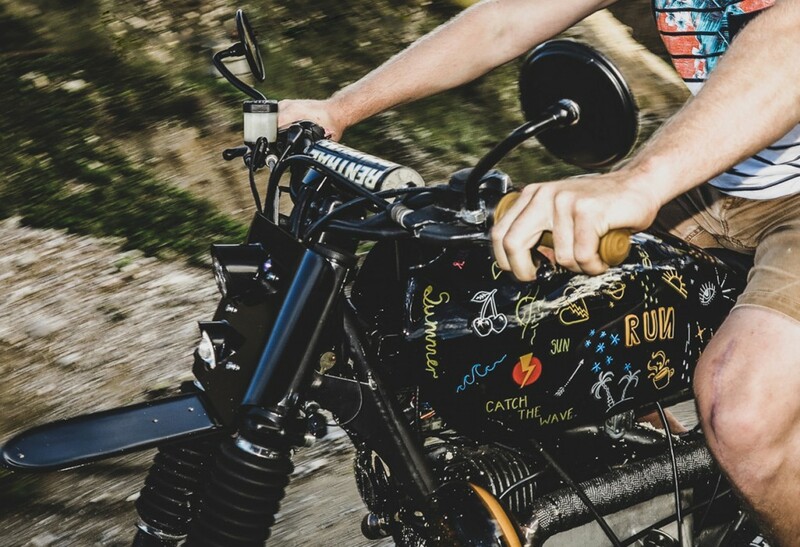 The client wanted a “unique bike for the streets and outskirts of Munich.” We particularly love the hand-painted CB500 tank, the work of helmet artist Shara Damian, and small conveniences like the USB charging socket under the seat — a sign that this R80 is built to be ridden. A couple of years ago, when we went for the first time to the Wheels and Waves festival in Biarritz, a group of German motorcyclists were our neighbours at the camping site. Soon they turned into friends who share the same passion for unique bikes. 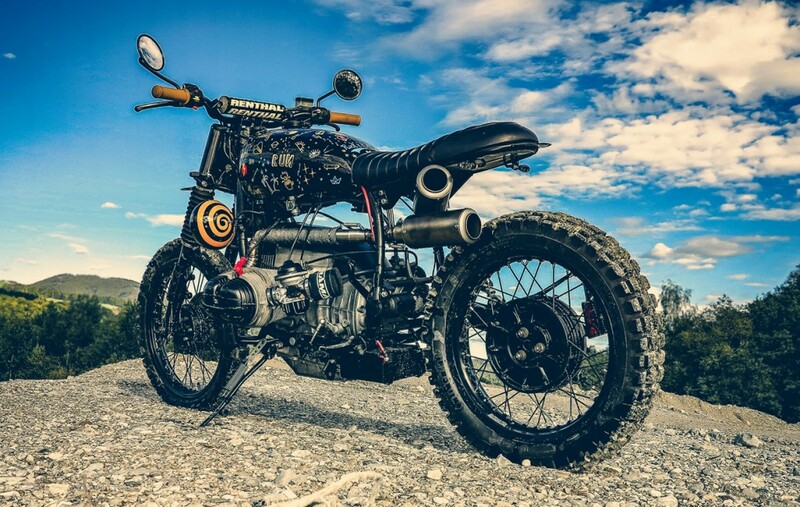 This year, one of the guys bought an BMW R80ST from 1984. Soon he brought it to our workshop together with some parts he already organized and plenty of ideas. That’s how it started. 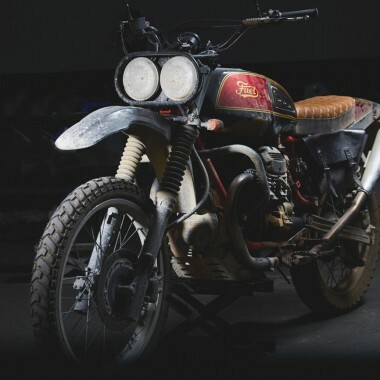 Together with Christian (owner and creative mastermind of Reier Motors), the concept of the bike evolved. 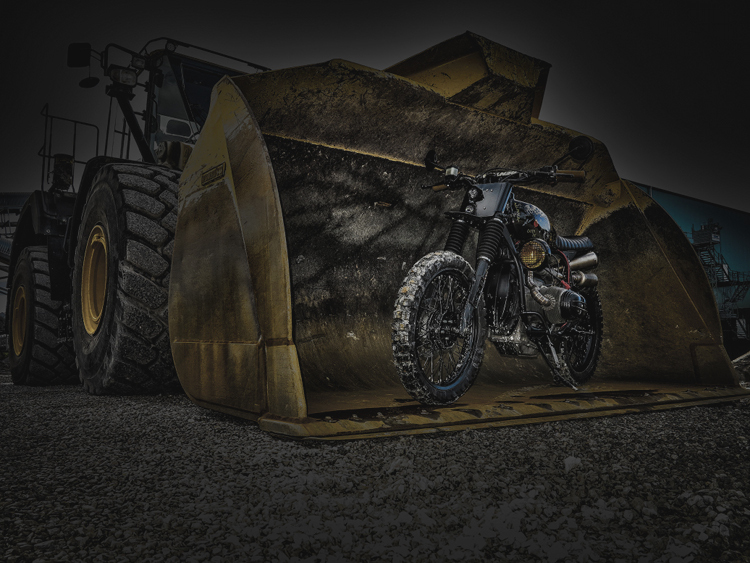 Soon it was clear to make kind of a scrambler interpretation out of the old BMW. The target: A unique BMW for the streets and outskirts of Munich. Renthal MX Handlebar including new grips. Highsider LED Headlight and Spotlight. Switchable fog light on left side. New fully adjustable rear suspension for improved comfort and performance. Self-made exhaust routing with two SC project silencers, arranged asynchronously. Removable DB killers and incredible sound. Small speedometer integrated in tank. Front fender, rear fender and front shield handmade from sheet metal, black finish. New Side stand, main stand removed. USB power socket under seat (for trimming beards, charging phones, etc). Electric cables and wires modified and rearranged. Seat and tail renewed with “ready to go” parts. Rims and spokes powder coated in black. 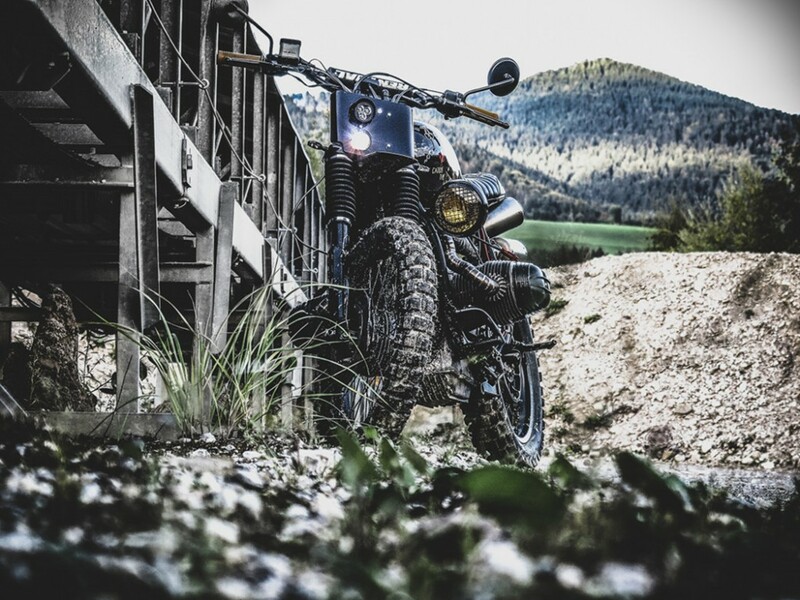 In the meanwhile, the bike is exploring the roads of Bavaria and attractes attention wherever it appears. 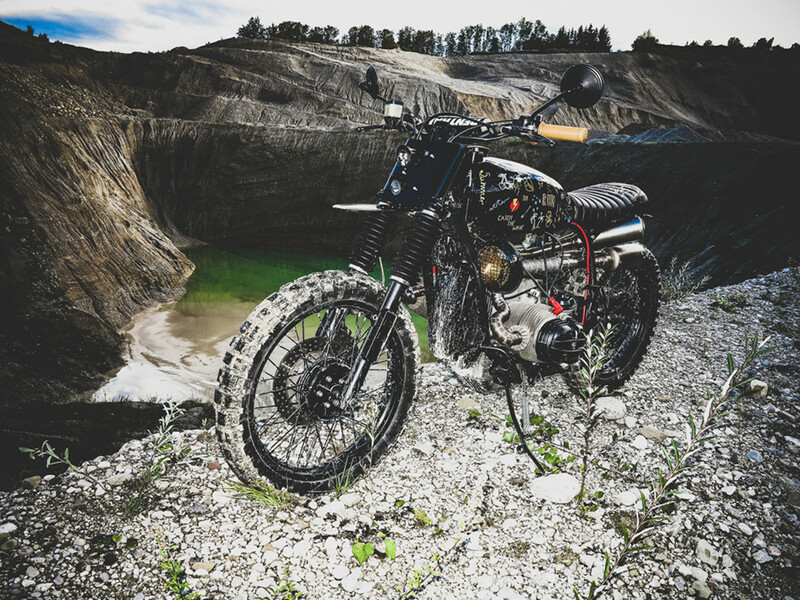 If you’re interested in customizing your own bike, get some inspiration, have a talk on what is possible, or you just want to get to know the people behind, get in touch.